Jesus once said to me: "Do you know, daughter, for what reason I send crosses to souls dear to me? 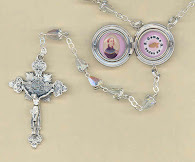 I desire to possess their souls, entirely, and for this I surround them with crosses, and I enclose them in sufferings and tribulation, that they may not escape from my hands; and for this I scatter thorns, that souls may fasten their affections upon no one, but find all con­tent in Me alone. My daughter, if you do not feel the cross it cannot be called a cross. Be sure that under the cross you will not be lost. The demon has no strength against those souls who for My love groan under the cross. 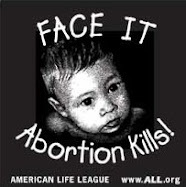 0 My daughter, how many would have abandoned Me if they had not been crucified. The cross is a gift too precious, and from it come many virtues." I prayed then to Jesus that He would not concede to me any grace except that of loving Him very much, and Jesus said: "Oh soul dear to me, if you truly love Me, behold My chalice; you can drink it to the last drop. On this chalice I have placed My lips, and I want you to drink it." I told Jesus to do with me as He would. And then He said to me: "I have sent this cross to you, you do not appreciate it; rather it is contrary to your desire, but the more it is contrary, the more it is like Mine. Would it not seem to you a dreadful thing to see a father in the midst of sorrow and the children enjoying them­selves? When I shall be your Spouse of blood, I will come to you, but crucified; show your love to me as I have shown it toward you, and do you know how? By suffering, pains, and crosses without number. You ought, therefore, to consider yourself honored, if I lead you on paths hard and painful; if I permit that you be tor­mented by the demon, that the world despise you, that persons most dear to you afflict you, and with daily martyrdom, I permit your soul to be purified and tested. 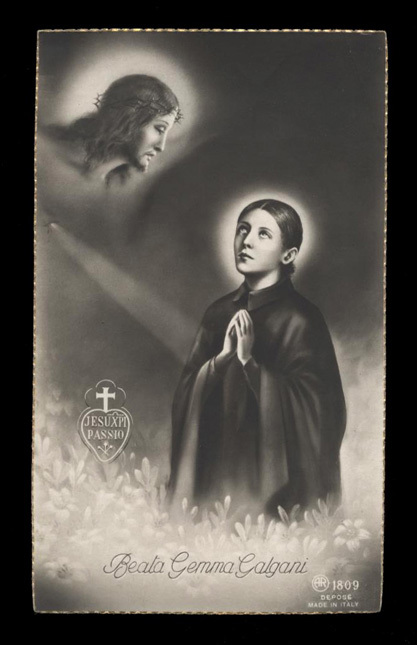 And you, daughter, think only of practicing great virtue; run in the path of the Divine Will, humbled, assured, that if I hold you to the cross, I love you." Sometimes, when I ought to begin to pray, especially on Friday, I seem not to have the inclination, and Jesus says to me: "Embrace the cross, my daughter; be sure that, while you are satiated with suffering, you are satis­fying my Heart, and remember, the more bitter the cross is to you, the more it conforms to mine. I, you see, have compassion on your weakness. I send you drop by drop the chalice of my Passion and I give you a little part of My suffering at a time,"
Do I do badly not to have the inclination when Jesus calls me? Even now, on Thursday evening, I feel that I do not wish to suffer this evening, but do you know my Angel Guardian tells me to be patient because Jesus proportions the suffering as he wishes, and so orders the circumstances and disposes my heart to receive it. And then he says that it is not the suffering which ought to conform to us, but we ought to conform to the suffering. I ask your blessing and pray so much to Jesus for poor me who has so much need. Saturday I went to make a visit to Jesus Crucified. 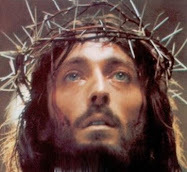 There came to me a strong desire to suffer and with all my heart, I asked it of Jesus. And Jesus that evening made me have a very violent pain in the head, and blood almost came; but I was almost overcome and afraid that I would not be able to endure it. Tonight I suffered all night; I asked Jesus if I might have a little peace; and He gave it to me. I do not know whether Signora Cecelia saw me at this time; since yesterday evening I have been with her at her home, you know. Yesterday evening when I went to confession, I felt very ill; the devil began to say such horrible things about you, blaspheming; he said that in the night he would tear me to pieces if I did not yield to his temptation. He made me so afraid that I was discouraged, and I almost submitted to him. I was disgusted, and I wished to die, because I was tired of having such dreadful nights. When I returned home, I went at once to my room; I was badly frightened, but before going into the room, I called Brother Gabriel (St Gabriel Possenti -editor). He came at once, but he scolded me sharply, first of all because I was unhappy after the temptation; instead of resisting the temptation strongly, I did it with an oppressed heart; then because I had said I was tired of suffering, and he said to me: "Why do you refuse suffering while Jesus has suffered so much for you; why do you complain of what he has disposed? If the suffering seems long, the recompense will be eternal. If the temptations disturb your heart, and your soul is on the point of submitting to the enemy, come to me; I am ready to help you; trust in me and you will not have to fear falling. Remember to speak as little as possible about all these things; avoid purposeless talk, because so many faults are mingled with useless words." Then he left me. Scarcely had he left, then that bad one came along. He wishes me to do what he told me but I would not. He struck me violently. Finally I conquered with the help of Jesus. Then I went to Holy Communion later. I felt the presence of Jesus and He told me (because I said that I had waited for Him so long) "All night I was with you .... "
Writing to her spiritual director Gemma states: "Jesus possesses my heart, and being in possession of Jesus I find that I can smile, even in the midst of so many tears. I feel, yes, I feel that I am happy even in the midst of so many discomforts." In another letter Gemma writes: “…Jesus in His infinite charity continued His graces and favors to me. One day He said to me lovingly: "Daughter, what should I say to you, when in your doubts, your sufferings and your adversities, you think of going to others rather than coming to Me, and you seek alleviation and comfort other than mine." I knew that I deserved these reproofs, nevertheless I continued as usual, and Jesus rebuked me again saying, "Gemma, do you realize that you are offending Me when in your great need you consider Me last, after other creatures who cannot give you consolation? I suffer, My daughter, when I see that you forget Me." This last reproof sufficed and served to detach me from every creature in order to turn myself to our Creator. I came by St Gemma totally by surprise. I was checking out SpiritDaily.com which I do every day when her picture came up on screen. I was immediately drawn to this beautiful young woman and could not wait to read her story. Wanting to know more I ordered her book and then the devotion began. She taught me how to love Jesus with your whole heart and mind and how she surrendered her life to him. It has helped me a lot to accept my disability and illness. And now instead of wasting my suffering I offer it up for the souls in purgatory. I pray to her several times a day asking for guidance and support with each new day as it comes. My dream is to visit Lucca before I get much worse in my illness, so if it is gods will I will hopefully go this year, just to see where she lived and walked would be amazing. 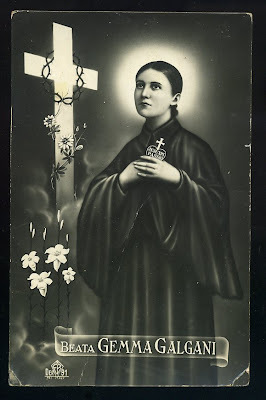 How lovely it is to find somebody else with such a great devotion to St Gemma as she is virtually unknown here in Ireland. Hopefully that will change very soon and devotion will spread because I tell everyone about her and how amazing she is. 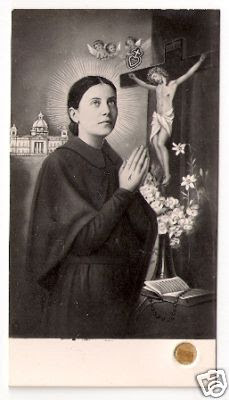 I think your website is excellent and gave me a full introduction to this wonderful saint. Keep up the good work Glen. Thank you Jacqui. 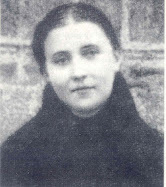 Would you happen to know much about St Gemma's relationship with her hateful brother? Jacqui, I too have a illness, one of them being extreme back & neck pain from a car accident. 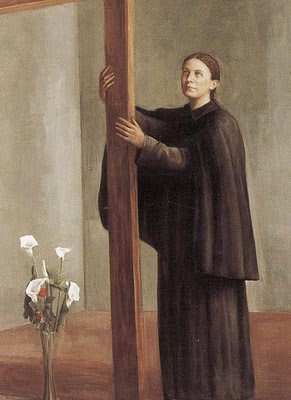 I find great strength reading about this Saint and how she too struggled with suffering. We are all called to be Saints! Keep up your prayers for those in purgatory,it is so great that you offer up your prayers for them. They are greatly needed, I too pray for them. Please pray for me in my sufferings and I will pray you.